They met Dean Manev - sales manager at the Men's Fashion Cluster - and talked about the business opportunities and support, which Richmart offers to young fashion designers to create their own collections and start own businesses. The girls had the chance to meet Louis Copeland, who was also at the factory. He is a Master Tailor and his company is a leading Menswear Retailer in Ireland. His family's brand is established almost 100 years ago and is a world famous name - a synonym of high quality garments and unrivalled customer service levels. 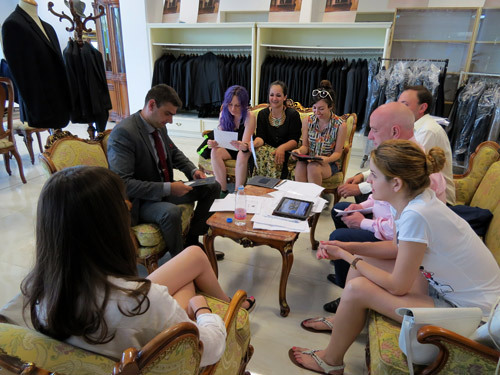 The students learned interesting facts about the menswear business and custom made suits from this 'tailor to the stars' (that's how Louis Copeland can be called as he has many famous clients, among which the former USA president Bill Clinton) . 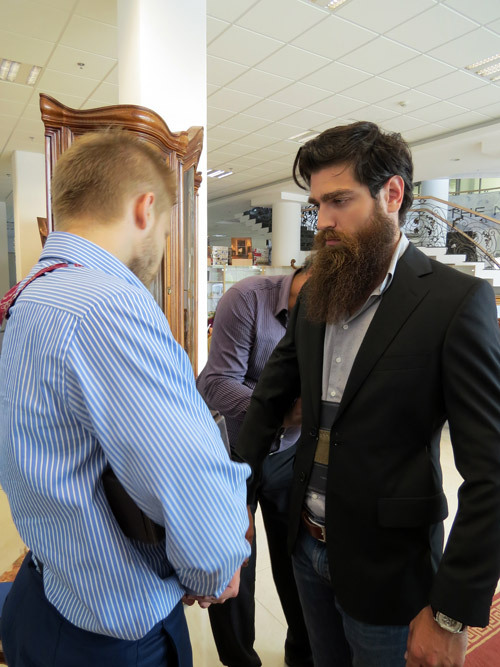 At the same time we also noticed two designers from Romania, who had a free made-to-measure training at the factory (as you know Richmart factory invites all fashion designers from Europe and USA to such a training).